Gardens without Borders is a federally registered not-for-profit that was founded 10 years ago to deliver horticultural therapy programs. Over the years, we have assisted numerous seniors, adults with developmental delays, children with Asperger’s and autism and many other folks who have enjoyed the gardens and the farm environment. More recently, GwB has expanded to take on the running of the botanic garden at Innisfree Farm. 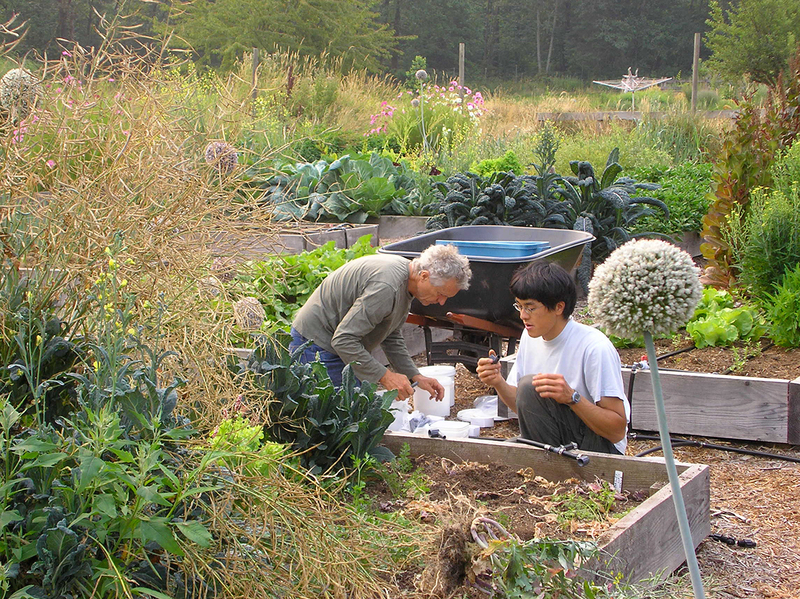 We are a seven-acre site specializing in food and medicinal plants. We teach people how to grow, harvest and prepare their own remedies, and how to cook and appreciate farm-fresh foods. We want to empower people in food and medicine security by teaching them practical skills. For some participants it is simply the opportunity to be outdoors in a tranquil place with no traffic or other human sounds, just the wind in the trees and the birds singing. Walking the labyrinth, smelling the roses, sitting by the pond—all of these offer the chance to slow down, unwind a bit and let go of stress and tension. Others need a structured program with planned activities such as picking and pressing flowers, planting a container garden to take home, making nature art and so on. Still others are able to work in the garden beds alongside our interns and volunteers, share our community lunch, and benefit from the physical activities, camaraderie and sense of contributing to the community at the farm. We customize the garden offerings to suit each individual. Another great HT activity is to make natural skin care products or natural household cleaning products. Using healthy ingredients and essential oils—a little goes a long way—people can make something healthy and useful. On a professional level, obviously it is when patients get better, when they don’t need me anymore. But on a personal level, my happiest times are when I’m working in the gardens. Obviously, I am benefiting from the horticultural therapy going on here too. This article has been tagged with the following keywords: Gardens Without Borders, herbal medicine, Horticulture Therapy.